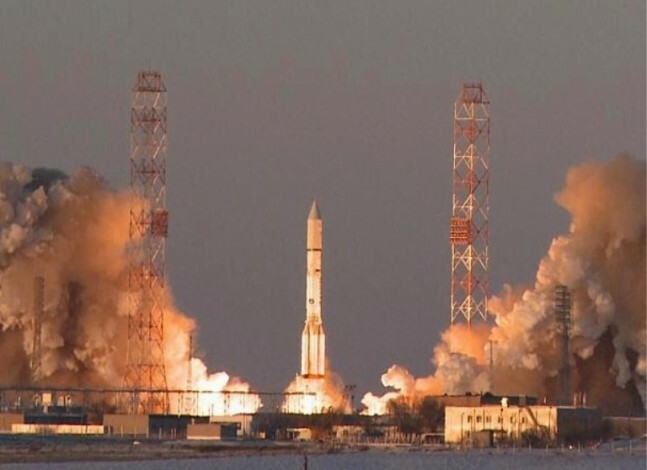 BAIKONUR COSMODRONE, Kazakhstan — International Launch Services (ILS ) celebrated the first launch of 2015 with the successful lift off of a Russian Proton-M from launch pad 39 at the Baikonur Cosmodrome at 7:31 a.m. EST (1231 GMT). The Russian workhorse carried the Inmarsat-5 F-2 communications satellite, part of the Inmarsat Global Xpress (GX ) system, into orbit. The Proton launcher is considered the workhorse of the Russian fleet of launch vehicles due to its history of more than 400 launches since production began in 1965. ILS majority owner and renowned member of the global space community, Khrunichev Research and State Production Center, is responsible for the manufacturing of the Proton vehicle. The Proton used in today’s flight is a three stage vehicle, spanning 138.8 ft (42.3 m) high. The vehicle’s first stage is comprised of a central tank with six fuel tanks surrounding it. Each tank contains one of the six RD-276 engines responsible for powering the first stage. 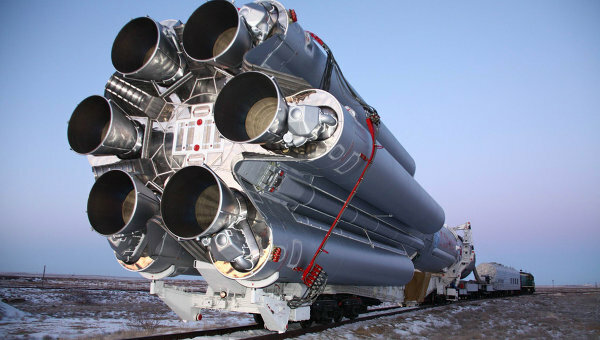 The launcher’s second stage is powered by one RD-0211 engine and three RD-0210 engines, while the third stage employs one RD-0213 engine as well as a verner engine sporting a four-nozzle design. The third stage is also responsible for the guidance, navigation, and control of all three stages via a closed-loop digital avionics system. The Breeze M upper stage will be conducting a series of planned maneuvers to position Inmarsat-5 in its final supersynchronous transfer orbit. Separation of the Inmarsat-5 from the upper stage will occur approximately 15.5 hours after liftoff. 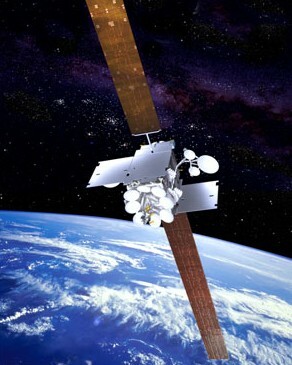 The Inmarsat-5 F-2 satellite was constructed by the Boeing Space and Intelligence Systems, with the design being based off the BSS-702HP Platform. The satellite contains 89 ka-band transponders and is expected to last at least 15 years. As part of the Inmarsat GX system, a total of three Inmarsat-5 satellites will be launch in order to offer the highest network reliability and is the first global high-speed broadband communications network. The first GX satellite, the Inmarsat-5 F-1 was launched in Dec. 2013 and became fully operational in July 2014, providing coverage to Europe, Africa, Asia, and the Middle East. With the addition of Inmarsat-5 F-2, the network will now cover North and South America and the Atlantic Ocean. 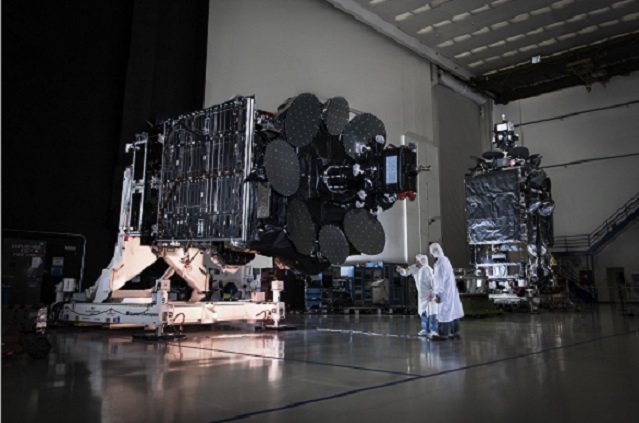 The launch of the third GX satellite, Inmarsat-5 F-3, is slated for summer 2015. Approximately 70 seconds after liftoff, the Proton rocket passed the speed of sound (Mach 1) and the phase of maximum aerodynamic pressure (Max Q), as it ascended. A minute later, approximately 2.5 minutes into the flight, we had main engine cut-off (MECO), followed by first stage separation and then ignition of the Proton’s second stage. Seven minutes into the flight, the second stage engine cut-off, third stage ignition and payload fairing jettison. Approximately six minutes later, the third stage engine cut-off and the first of five scheduled Breeze-M upper stage burns commenced. The first burn lasted 4.5 minutes and accelerated the upper stage and the payload to a low-altitude parking orbit. The Breeze-M entered into a coast phase until the second of five scheduled burns started at 9:21 a.m. EST (1421 GMT). The Inmarsat-5 F-2 satellite will separate from the Breeze-M at approximately 11:02 p.m. EST (0402 GMT). International Launch Services is based out of Reston, Virginia and has exclusive rights to the Proton launch vehicle. ILS is a subsidiary of Khrunichev State Research and Production Space Center. To date, Khrunichev has launched more than 390 Proton rockets. we got get our rockets up to speed, cost to much to launch from Russia!! They teck is way behind us, won’t catch ,less thier spys can steal ours! That’s if the commie china don’t get ours first!